The Makita CP100DZ Cordless Multi Cutter CXT is a high power, compact, and lightweight multi cutter with auto self-sharpening function that ensure better and sharper performance. Its small size makes manoeuvrability easier. It has an ergonomic soft rubber barrel grip that absorb vibration for comfortable gripping and better operation. It also comes with a lock-off button that ensures safe operation. 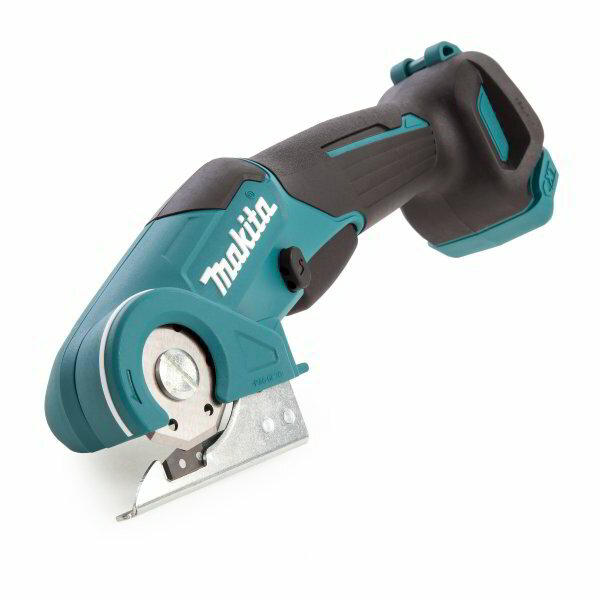 The Makita CP100DZ Cordless Multi Cutter CXT is ideal for both home and professional use in the Philippines. This reliable power tool is by far the fastest and most versatile universal shear available in the market today. It can be used to cut a variety of materials including carpet, cardboard, vinyl and lino flooring, tarpaulin, fibre-glass rendering mesh, wire mesh, artificial grass, weed control membrane, roofing felt, pallet strapping, and damp-proof course.